Hidatei Hanaougi Hotel Guide | Takayama Guide: Resort Ryokans, Hotels and other accommodations in Takayama. 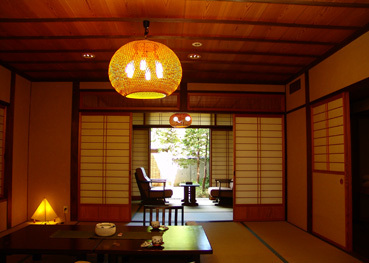 You can experience true Japanese taste at their pure Japanese style hotel. 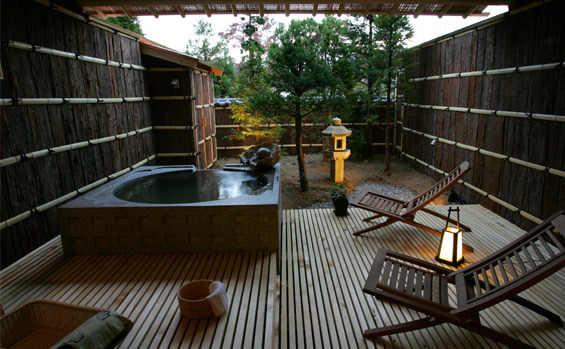 Hidatei Hanaougi guest rooms have outdoor baths for moon viewing and our special suites offer a comfortable and spacious area with three connected rooms. Filled with a rich atmosphere the magnificent bath is accented with elm trees and the natural hot spring contains sodium hydrogen carbonate. 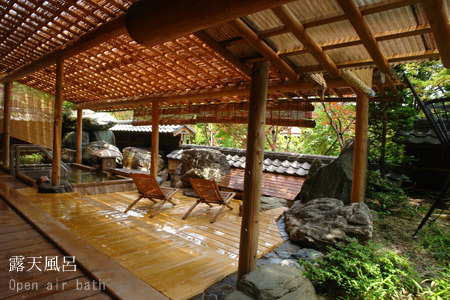 The large bathhouse and lying-style baths constructed completely out of cypress accent the natural wonder of the baths.